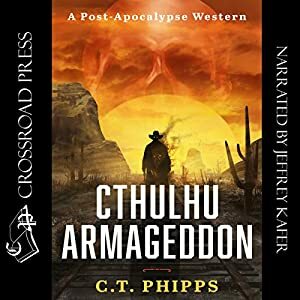 Book Lovers Life: Audiobook Review: Cthulhu Armageddon by C. T. Phipps! Sounds like a great blend to me! It was, definitely a book that needs to be read!! Thank you so very much for this review. You rock. I haven't read any of C.T. Phipps other books, but I really enjoyed this more than I was expecting to. I'm glad to see that you enjoyed it too!